Nintendogs: Labrador and Friends is also titled Nintendogs: Shiba And Friends. Get 14,000 owner points to unlock the Beagle breed at the kennel. Get 17,000 owner points in the Japanese version of the game. Get 10,000 owner points to unlock the Boxer breed at the kennel. Get 22,000 owner points to unlock the Cavalier King Charles Spaniel breed at the kennel. Get 4,000 owner points in the Japanese version of the game. Get 50,000 owner points to unlock the Chihuahua breed at the kennel. Alternately, play in Bark mode with someone who has Nintendogs: Chihuahua and Friends, then have them bring a Chihuahua for your dog to play with. Get 45,000 owner points to unlock the Dachshund breed at the kennel. Alternately, play in Bark mode with someone who has Nintendogs: Dachshund and Friends, then have them bring a Dachshund for your dog to play with. Find the fireman's hat during a walk to unlock the Dalmatian breed at the kennel. Get 4,000 owner points to unlock the German Shepard breed at the kennel. Get 8,000 owner points in the Japanese version of the game. Get 20,000 owner points to unlock the Golden Retriever breed at the kennel. Find the Jack Russell Book to unlock this breed at the kennel. Get 10,000 owner points to unlock the Labrador Retriever breed at the kennel. Get 2,000 owner points to unlock the Pug breed at the kennel. Get 25,000 owner points in the Japanese version of the game. Get 2,000 owner points to unlock the Schnauzer breed at the kennel. Get 16,000 owner points to unlock the Shetland Sheepdog breed at the kennel. Get 8,000 owner points to unlock the Shih-Tzu breed at the kennel. Get 30,000 owner points to unlock the Siberian Husky breed at the kennel. Get 35,000 owner points to unlock the Yorkshire Terrier breed at the kennel. Get 14,000 owner points in the Japanese version of the game. Get 6,000 owner points to unlock the Desktop room (costs $20,000) in the interior decorator. Get 40,000 owner points to unlock the Northern European room (costs $5,000) in the interior decorator. Get 18,000 owner points to unlock the Outer Space room (costs $100,000) in the interior decorator. Get 25,000 owner points to unlock the Ranch room in the interior decorator. Get 12,000 owner points to unlock the Seaside room (costs $50,000) in the interior decorator. Get 25,000 owner points to unlock the Urban Living room in the interior decorator. Get 300 owner points to unlock the Balloon. Get 300 owner points to unlock the Jump Rope. Get 10,000 owner points to unlock the Natural Dog Food Bag. Get 300 owner points to unlock the Pull Rope. Get 10,000 owner points to unlock the Windup Toy. At the Nintendo logo, hold L + R + A + B + X + Y to delete your saved data. When linking copies of Nintendogs to unlock new breeds, remember two things. You can only link with another Nintendo DS system once (and unlock a new breed). The breed unlocked corresponds with your partner's current pet, and it must be a breed that you do not have in order for it to be unlocked. While walking your dog, you may find a Peach cart in a "?" box. To control the kart, press B to move forward, A to move backward, and Left or Right to turn. If the dog(s) hit it, the kart will spin around in place, then move in the direction you want it to move. Play with a disc, ball, etc. Each time your dog gets it, call it over (or tap the screen a few times.). When he or she comes, pet it on the head for a few seconds. He or she should sparkle, giving you one or two owner points. This also makes it easier to get the toy back and repeat. Take your dog for a walk and make sure you have another accessory to change into. Try to go in as many "?" boxes as possible before you go to the park. As soon as you put the line into the park, go directly home. Go through your walk as normal, getting items, meeting dogs, etc., until you reach the park. Once you get to the park, go directly to "Accessories." Change your dog's accessories immediately, then tap "Back." The message "Saving: Don't Turn Off Power" should appear. After it is done saving, turn off the power. Turn it back on, and you will still have all the items collected, and can go for another walk. You will not get owner points for this and your dog's stamina will not increase. While teaching your dog to sit, do not say "sit down," just say "sit." By doing this, when you teach it "lay down," it will not get confused. When teaching it to shake, do not say "shake." Instead, say "shake hands." By doing this, it will not get sit confused with "shake." Your dog can only learn a certain amount of tricks a day, while the same goes for competitions. To get additional chances at tricks and competitions, change the system date to the previous day and set the time to 23:59. Exit the menu and turn off the DS. Immediately turn it back on and load the game. You will see the previous day and time shown. After one minute it will be an entirely new day, allowing more tricks to be taught and competitions to be won. This can earn you more money if you win the competition. When you want to follow the normal order of things, just set the date and time back to the correct values. Go on a lot of walks and get as many question marks as possible along the way. Then, go to the second-hand store and sell all the items you do not want or your dog(s) you do not like. Some items are less then a dollar, but the amount adds up if you continue doing this. Additionally, when going out for walks, it is best to feed and give your dog water just before you go (if it's hungry or thirsty). By doing this, instead of your dog finding trash, they will be much more likely to find presents. You will see a white box with red ribbons around it. Try walking slowly because you cannot go backward. Touch it with the stylus. Your dog will bring it to you. These items are the ones that are worth more. The tri-color ribbon is worth ten dollars, and the Moai Statue is worth one hundred dollars. Take your dog for lots of walks and collect as many presents as you can. Eventually, you will get a Mario hat, a Luigi hat, a rubber mushroom and a "?" block from Super Mario Bros. While on a walk you may find a Mario theme music box. You can play the Mario theme song on it by spinning the crank with the stylus. While taking your dog for a walk you may find an RC helicopter as one of the presents. Hold A to take off, the D-Pad to maneuver, and L to change the camera view. They can be sold for $200. If you walk your dog allot, you will eventually find an item called "Secret Shedding Record." This item plays strange music when you activate it from the music icon in your supplies menu. There are four records in the game; these are extremely rare. While walking on the sidewalk, tap the floor and your dog will look and sometimes find an item. Also while walking your dog, there will be a question mark on almost every walk that is not illustrated on the map. When you see it on the touch screen take your dogs leash and drag your dog to the present. It will be a present or garbage that your dog should not eat. When you find a "?" box during a walk, if your dog barks once, it is a present; if it barks twice, it is another dog. Additionally, if you find a present wait until the dog runs off the screen. If it turns white, it will be a trainer. If it does not, it is a present. The name registered in your Nintendo DS will appear as the owner's name, as well as your date of birth. You can change your picture to their choices of avatar pictures; there are eight choices. The Dog Hotel will hold up to five dogs at a time. The three that you can raise do not count with the five, making it possible to raise as many as eight dogs. Go to the park, and keep training your dog until you get a message. Use a frisbee, tennis ball, rubber bone, or stick to train it. When playing fetch with your dog, after you throw a frisbee, tennis ball, rubber bone, or stick in the park or someplace, to retrieve the item tap the screen at least five times to get their attention. Then, play a tug-o-war until you have it again. Go to the gymnasium and train your dog on the agility course; it will change with each competition won. Have a dog do a trick repeatedly until a message appears. Name the trick, then the dog will do the trick every so often. Keep teaching it the trick until it does it the first time you call it. The dog can only do so much training in one day. For more training, wait until the next day. Additionally, when teaching your dog to fetch, every time your dog brings back the item from tapping the screen, pet it until the sparkles appear. Then, take the item and throw it over again. After doing this awhile, your dog will bring back the item automatically, thus making the contests easier. Each competition should be trained at a different place (disc competition at the park, agility at the gymnasium, and obedience at an empty park or house). There are five courses for each competition: beginners, open, expert, master, and championship. Get a Boxer if you want speed. Get a German Shepherd if you want it to jump high. In certain classes of competitions, if you get below a certain score you will drop a class. Before entering competitions, save the game. If you do badly, turn the game off before the competition ends to avoid ranking loss. Whenever this is done, the leader's score will change. On the camera view of your dogs, tap the question mark under the dog's picture. It will bring up a screen with the dog's information on it, such as name, age, gender, etc. At the bottom is a button to go to the "Trick List." Tap on a trick, and tap "OK" for the dog to forget that trick. If you delete the trick by accident, you can re-teach the dog the same trick, and name it the same. While walking your dog and he or she seems edgy, give the leash a little tug towards the way it is walking. The dog will start running. Also, if you want you can give it a tug while running upwards and it will do a jump. You can walk your dog once every 25 minutes. Wait 25 minutes with the game on, in sleep mode, or off before walking your dog. Also, it will not be very active during the day if it stays awake at night. Mark out the path on your map, ending it at the house. If your last few steps end at the house, wait 25 minutes, then your dog can go slighter further on the next walk. Make sure to give your dog water after each walk. While marking out where you want to go on the map, try to get as many question marks as you can along the way. There are either other dogs or gifts that your dog will find with each question mark. While walking your dog, the blue circles that appear represent places to go to the bathroom. While at the pound, pick a breed. You will have three choices for the dog's coloring (light, medium, and dark). If you do not see the color you like, tap "Back," then tap on the breed again until the color and/or gender that you want with the dog appears. It may take some time to actually get what you want. Give your dog a bath when the dog's information page for coat reads "Clean." This will also make the dog like you more. When a bone or light bulb appears when you are training your dog, use the stylus to drag it over its mouth and your dog will eat it. While interacting with your dog at home, if you give it enough love by petting and scratching it, a golden dog bone of light will appear. You can give it to your dog as a bonus treat. Teach your dog to sit and jump. While it is sitting, tell it to jump. Your dog should do a backflip. 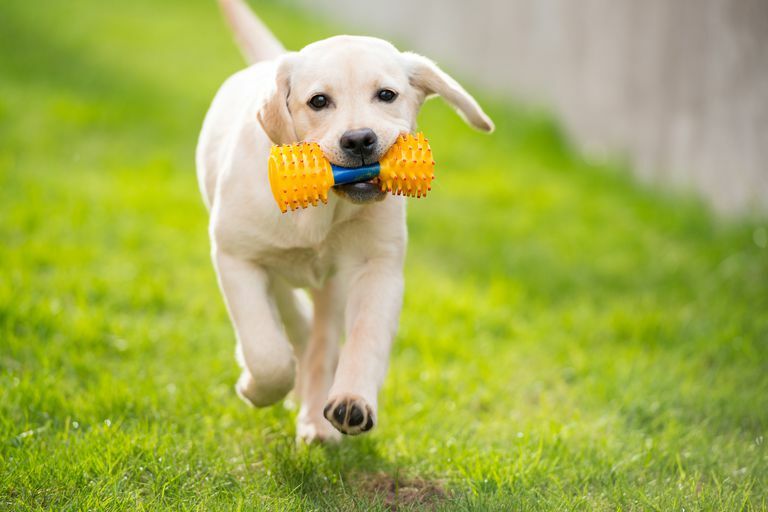 Teach your dog to roll over and jump. Tell it to roll over then quickly have it jump. It should flip forward onto its legs, with something that resembles a Kung Fu-style move. Once your dog has learned to beg, lift its paw up, and make it stand on its hind legs. It will stand and you will be able to teach it how so it is remembered. Teach your dog to lay down and beg. While lying down, tell it to beg and your dog should do a handstand. First, make your dog stand on its hind legs. Put the stylus on his or her leg and drag up. He or she should now be standing. Teach your dog that trick so it is remembered. Then, pull its paw to the area that the training icon is located. It should now be walking on its hind legs. Get your dog to sit and hold an ear back. The dog will wave its paw. Do it three or four times to get the trick. Teach your dog to spin and roll over. Make it roll over, then while it is on its back, tell it to spin. Your dog should spin around on his or her back, almost like it is break dancing. When your dog is playing with the pull rope, grab the other end and pull up with the stylus. This should make the puppy hang on the other end like a rag doll. Drag the rope around the screen and eventually, the dog will fly off. When you have the Pull Rope, try to get your dog suspended in the air. When it does, make it turn slowly (or it will fly off), and release the stylus. Your dog should fly away. Get the pull rope, then take it out. Wait for your dog to bite it. If you quickly slide the rope up while it is biting, one of two things will happen. It will either let go, or the camera will go above the dog, and it is hanging on the rope. To stop, let go of the rope or swing the rope around until the dog loses its grip and goes flying. In the pet supply shop, there is a Pikmin enemy on the shelf on the top screen.